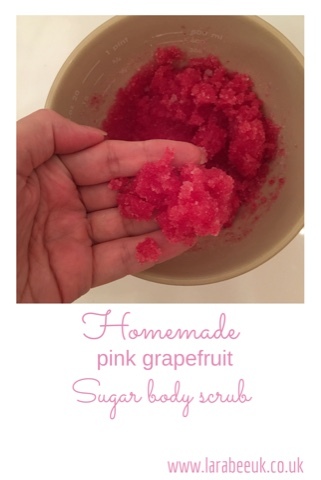 After using a commercial sugar body scrub for some time, I decided I wanted to have a go myself. I could not believe how easy it was, making it yourself is not only really cheap but you can use high quality or organic products if you like. The applications will, of course depend on how much you use and whether you use on your whole body. 1. Melt the coconut oil and leave to cool. 2. pour in sugar, essential oil and food colouring, mix well with a spoon. 3. Pop into a jam jar. 4. This should keep for a month, just enough time for 5 applications! Look out for my salt body scrub next month! this looks fab! 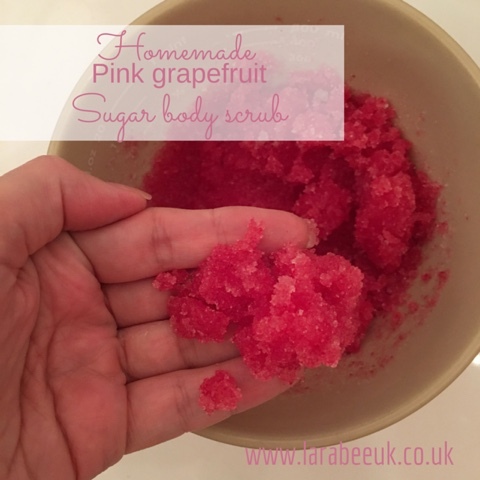 I'm using a sugar scrub at the moment as I'm finding it helps me with keeping my skin nice and moist so will be making some of this soon!